I made a Christmas tree skirt that first winter after I learned how to sew. It was bright and colorful in some novelty holiday fabric that stole my heart. I didn't follow a pattern. Oh no! In fact, I embarked on an ambitious spiderweb skirt design and made plenty of mistakes from start to finish. When I look back I can see that I didn't know what I didn't know, so I just went for it! That skirt didn't hold up very well, but it was still a huge win. It was crafted with my own two hands. The style resonated with my personality and brought me joy and made our Christmas seem more us at heart and less a production. It was so satisfying to replace the generic, store-bought skirt given to us when we were newly wed with something *I* made. And that was the beginning, really. After that skirt came handmade stockings, wall art, a holiday quilt, a festive pillow cover to mark the season, and more. When I unpack the Christmas boxes on the day we trim our tree, that is the part I love most: the handmades. I gather them up, that heap of crafted cloth, and flit about bestowing holiday cheer throughout our home. At once it's Christmas. It's our Christmas - so cozy and dear. I really don't know which idea came first: to play with fancy embellishments like beads, sparkle, wool and ribbon or to design a course for handmade holiday decor. But clearly the two are merry together! I've included our special holiday projects, but refreshed with construction informed by my experience, like my new tree skirt made quilt-as-you-go and our new stockings, ideally sized. You don't have to muddle through newbie mistakes or take a chance with your lovely supplies on tutorials from unknown sources. Take advantage of these streamlined projects designed to deliver you from Start to Finish. When holiday comes you can enjoy your creations this year! One of my favorite course projects is the Joy Art piece, a bit of wall art I wanted to make for my home this year. It's so simple, so modern and so fun-to-make! I made sure to include lots of easy wins like one. Sometimes easy is exactly right. Introducing Stitched Holiday, from my home to yours. 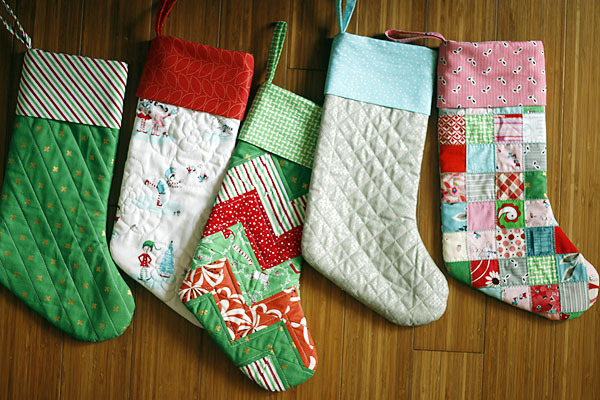 The course includes ten holiday projects, not to give, but to use. This is for all of you who say, "next year I will make..." Don't be like the shoemaker whose children have no shoes! Take time, take seven weeks, to make projects for YOUR home or for those dearest to you and enjoy some flings with fancy materials and simple new techniques along the way. Fingers crossed that you'll be joining me this autumn! Stitched Holiday runs 7 weeks, October-November on my brand new course platform, a lovely and efficient experience! Registration and more details coming in September at Stitched in Color or sign up to stay updated as the course releases.